Automatic Pocket Spring Coiling Machine fully automatic machine for the production of independent pocket spring machine, using full-servo feed, users can control the delivery line length heart. 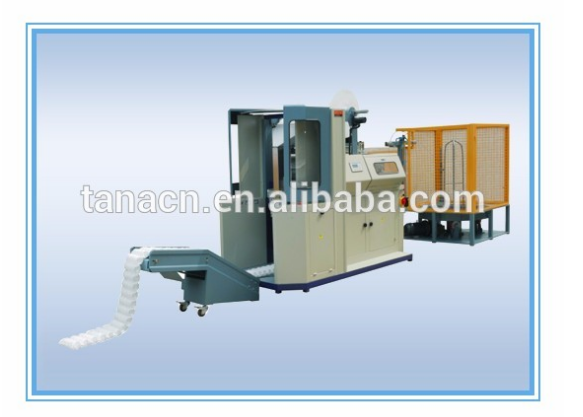 Another use of the machine mechanical structure of production efficiency, operation stability, and easy to operate. The machines settings parameters of all control setting are at touch panel on completion. The machine is also easy repair and lower the cost even more. 1. Investment in low-cost high returns in short-term. 3. Easy to operate master. 4. Produces center-sealed pocket springs that are trim and compact. 5. Electronic components are CE-conform and [off the shelf"(such as:Mitsubishi, SMC, CKD, Schneider-). 6. Ultrasonic horn is made of Titanium / Durable and Firm. Looking for ideal Spring Coiling Machine Manufacturer & supplier ? We have a wide selection at great prices to help you get creative. All the Pocket Spring Coiling Machine are quality guaranteed. We are China Origin Factory of Automatic Pocket Spring Coiling Machine. If you have any question, please feel free to contact us.